Description: In the book of Wisdom, we find the literary voice of Solomon, the model king and seeker of wisdom sharing his meditations. Concepts from Greek philosophy are integrated into Jewish tradition to present new insights into how wisdom can be both a quality of God and a human characteristic. Three affirmations in this lyrical book especially resonate for modern Christians: the kingdom of God means that God�s justice actually rules the world; God is Lord of the universe, not just the God of heaven; and God is engaged in human history and dwells with the human race. 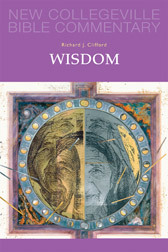 Citation: Lawrence M. Wills, review of Richard J. Clifford, Wisdom, Review of Biblical Literature [http://www.bookreviews.org] (2014).